... an organization dedicated to the shark species of the Red Sea. 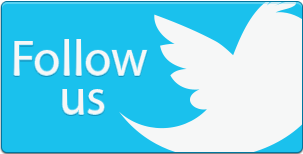 Find information on their biology, behaviour, ongoing research efforts and how you can support these efforts. 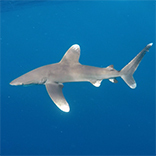 Browse our online photo-ID database, submit your images of Red Sed sharks, or find your favourite item in our online shop. Adopt one of our sharks or donate to our cause, which is to collect scientific data and raise awareness about Red Sea sharks, and the plight of sharks around the globe. This shows the proportion of monitoring dives where species have been sighted on particular reefs. More detailed data is collected by our volunteers than appears here. 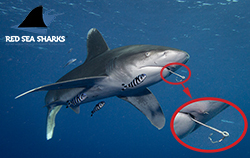 This data will be analysed and used to drive shark conservation in the Red Sea in the future. 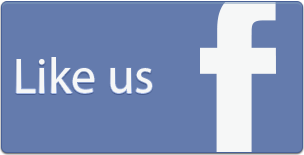 If you are a researcher who would like access to this data, please contact us. These are some of the latest sharks from our catalogue to be spotted. 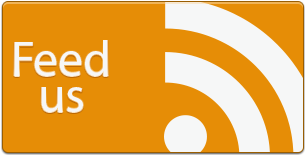 Click on them to find out more about the individual. 43734 images and video clips - 1158 contributing photographers - 1169 individuals identified - 3 species catalogued. 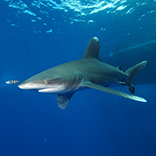 22nd March 2016: Project Shark Weeks in Egypt online! 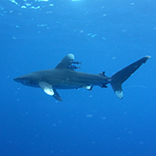 17th September 2015: Shark weeks in the Maldives in December 2015!!! How about a shark week of a different kind? 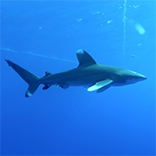 There is still some spaces on two PROJECT SHARK weeks in the Maldives in December 2015! If you are interested in joining me, check the blue o two website at http://www.blueotwo.com/Schedules-and-Prices-Liveaboards-Maldives, and click on M/Y blue Voyager. And here are a couple of pictures I took in the Maldives last December... just a little teaser! 24th April 2015: First shark week of the year! The silkies are back! Had at least 4 in Daedalus underneath the boats... plus 5 friendly hammerheads up along the north-eastern wall. 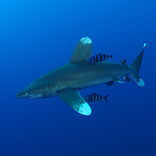 Add some oceanic whitetip shark action at Brothers, single thresher shark sightings, and the result is a great week! 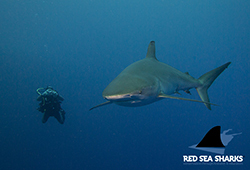 Click here to open a new window with all the previous news from Red Sea Sharks.